Stumbled upon this place for a weekend late lunch at about 3pm and the place was about 5 tables filled. Mostly families since its a heartland place and cuisine is chinese. The menu reminds me of crystal jade la mian or similar set ups, but this kind of menu is I think what most people dont mind, which is good. Settings are cosy with some booth seats available; otherwise its the usual chinese rounds table sittings. Carrot cake ($2.20) - 3 pieces but it was a bit too hard to taste home-made. Perhaps other dim sum will fare better? Braised chicken feet ($4) - Its braised in the more orange-red sauce instead of the dark brown sauce which I preferred but still not a bad choice if you happen to be craving for it. 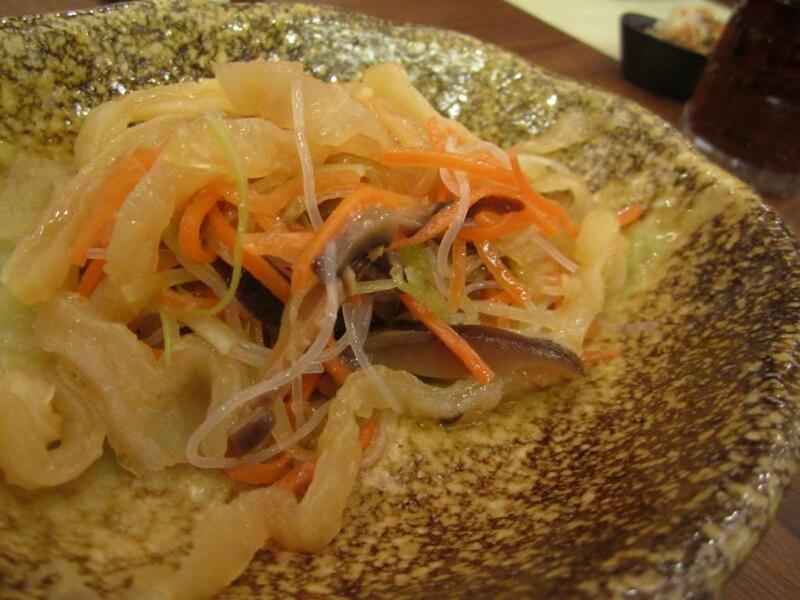 Jellyfish appetizer ($4) - this was good! Tossed with carrot, cucumber, and mushroom strips with just the right amount of light dressing and chilled nicely, it was an winner. Soup ($6.50) - we ordered the old cucumber and pork rib soup - excellent. Mushrooms, dates, dried scallops were all part of the brew, making it refreshingly healthy and reminscent of mum's cooking. Stir fried french beans ($8) - Disappointing. Came with chicken and mushroom strips (everything has mushrooms!) which overwhlemd the miserable portion of the veg. And because they deep fried the veg, they became scrawny and rather sad looking, plus the plate was way too oily for my liking. Stir fried Shanghai la lian ($8.50) - This was the best main course amongst the lot. Long beans, chicken strips, carrots etc accompanied the noodle wok fried in a dark sauce, plus not too oily. 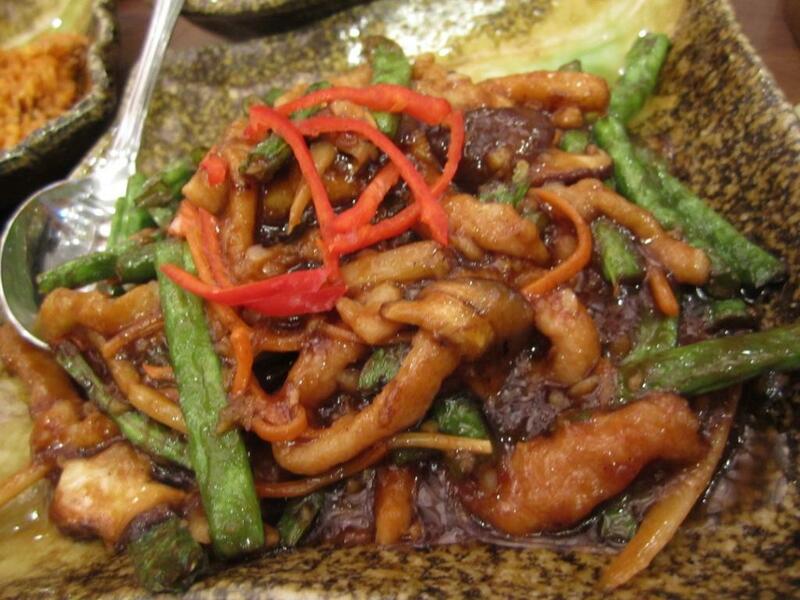 The best part of it was the wok hei which seemed to be missing in most places nowadays. 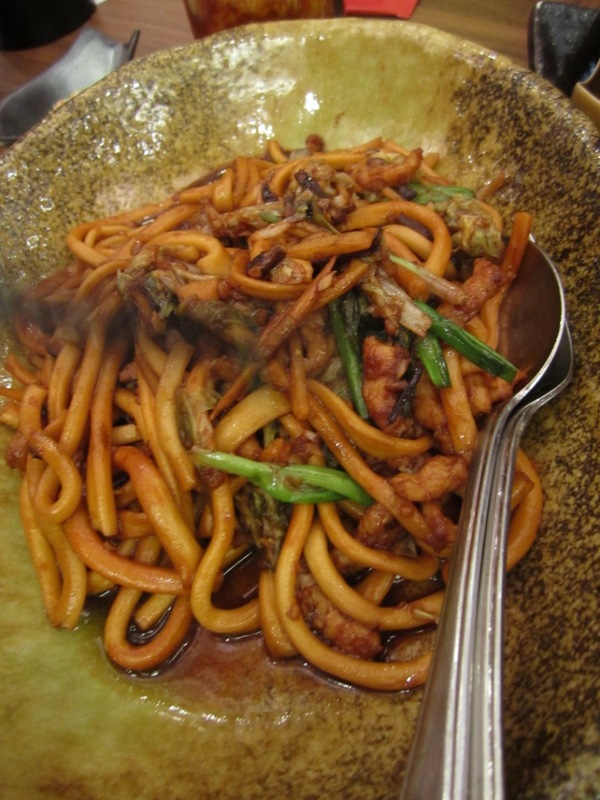 Zha Jiang mian ($6.50) - Didnt taste this but it looked dry and bland. Spanish fried rice ($9) - Not good. 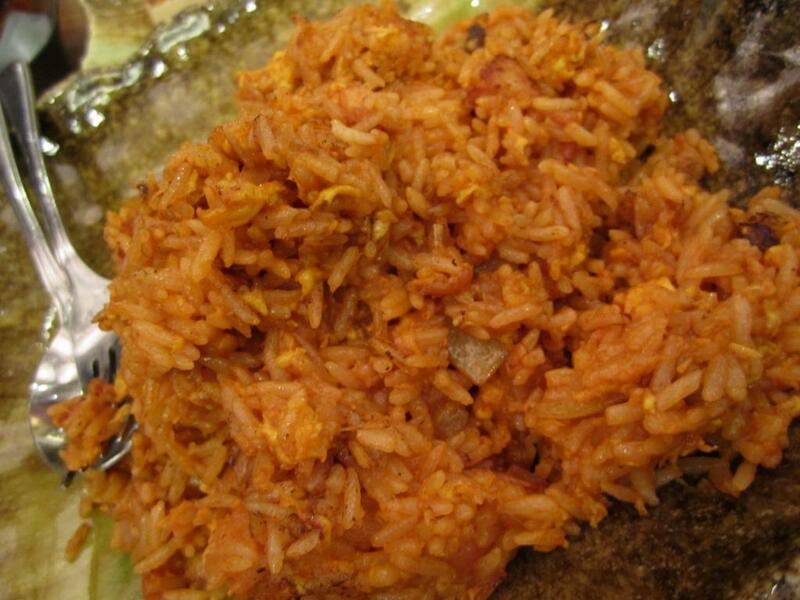 For all its name, we could only taste rice and tomato, maybe some eggs in there. No wok hei, and rice felt a tad mushy for fried rice as well. Service was okay, although you may get some clueless staff. I thought the prices were quite reasonable and I may try this again should I happen to be in the mall and looking for food. Some hits and missed, but I would think it is a good option for people staying in the vicinity. I also like the blend of Jasmine tea with rose buds. Decor quite nice. Svs not bad. But my friend used to buy takeaways a few times every week, and became friendly with the waitressess. When New Year came, they teased my friend for red packets, and seemed unhappy when she didn't give any. Price is almost the same or slightly less than Crystal, but food is definitely worse but still edible. 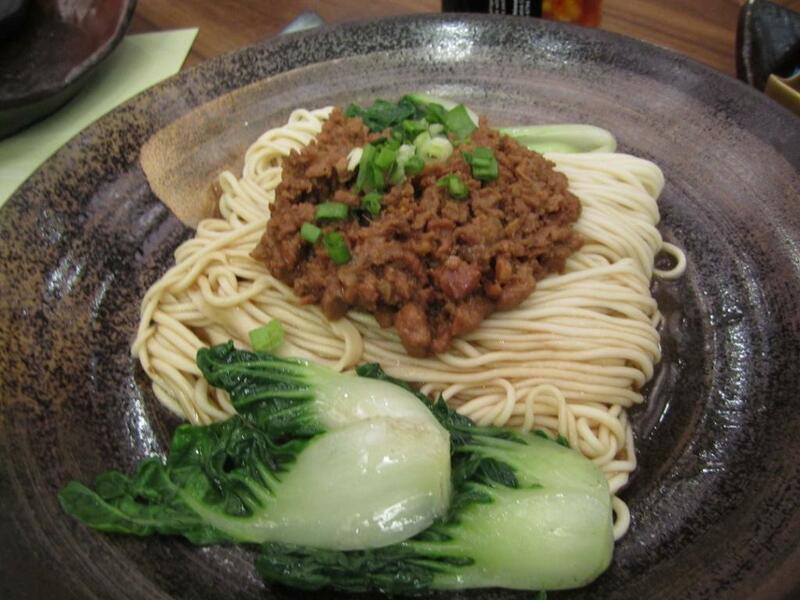 Most of the dishes are not to my taste as they use a Shanghai? style of cooking. The dim sum, and xiaolongbao are mostly edible but still less nice than Crystal. However they offer a nutritious brown rice with carrots, garlic, etc. It is good and can't be found in most other places. Very affordable too. I think the food is okay, but at the price, hello? I'd rather go to Lao Beijing, MOS Burger, etc. It's located in the heartlands, so I expected to at least be value-for-money. Turns out, I am soo wrong. It's quite expensive, actually.